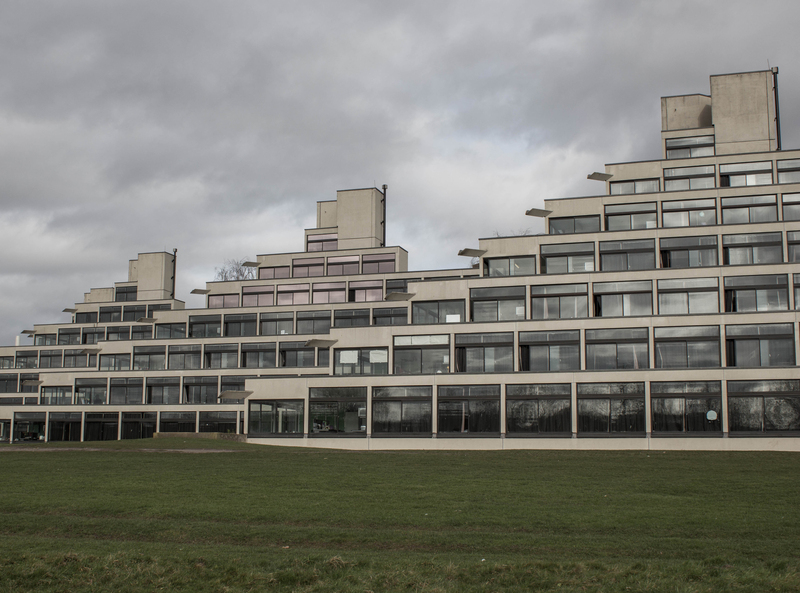 Lasdun’s University of East Anglia is a true megastructure, designed to include student accommodation, a teaching block of offices, labs and lecture theatres, a library, and the students’ union building. 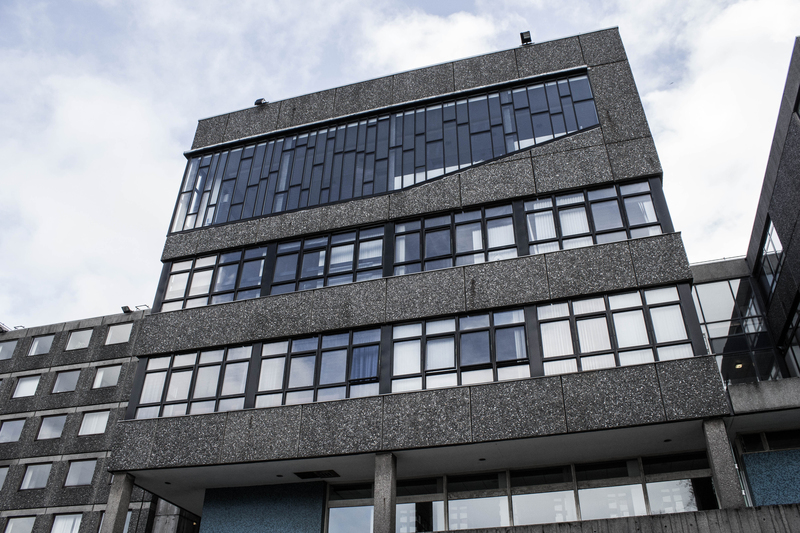 The teaching block is a long, winding ribbon with a strong horizontal emphasis and appealing copper hued windows. 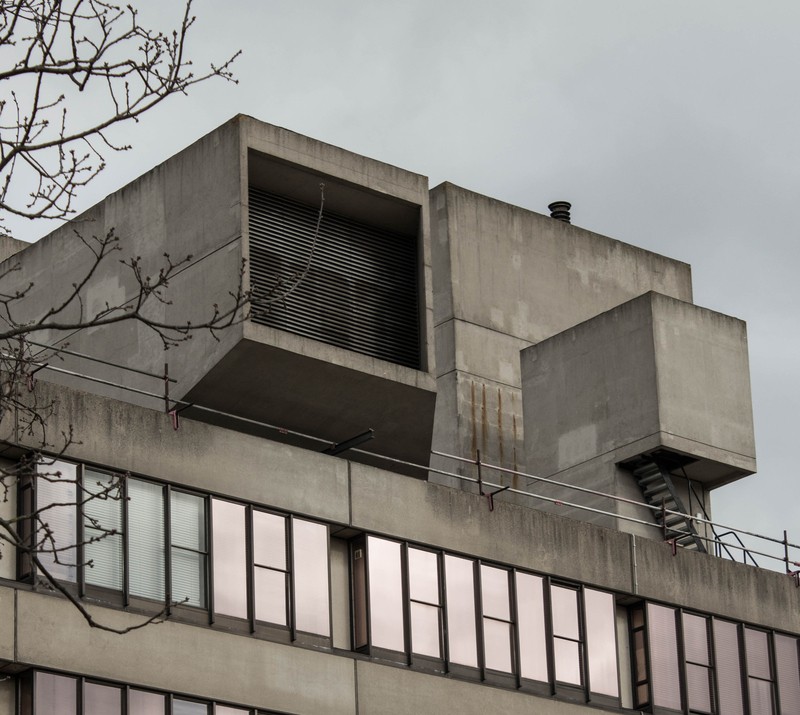 The horizontal is broken up by Lasdun’s characteristic roof furniture – concrete housed vents and lift shafts jutting dramatically above the roofline. 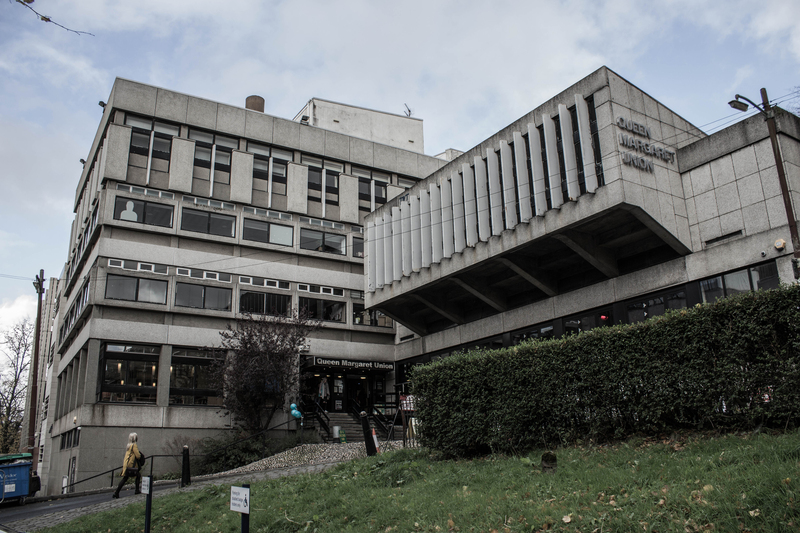 To the east of the site you can find the library and students’ union building, an arrangements of boxes that continue the horizontal thread. 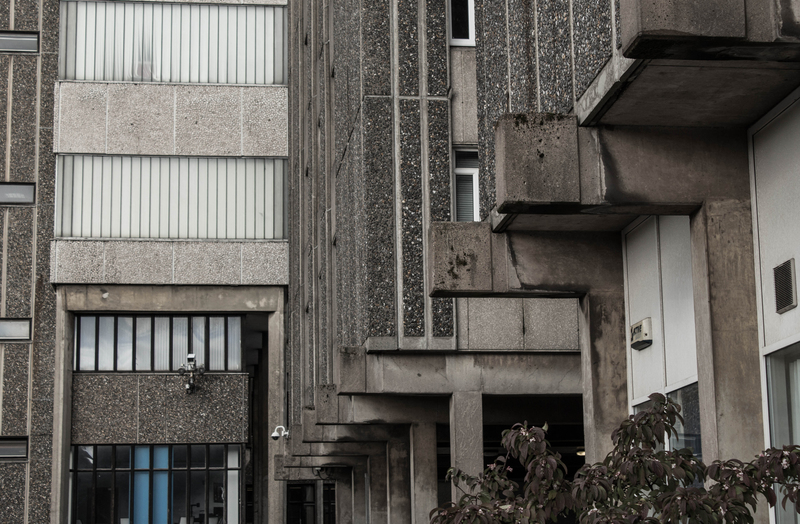 Running the length of this collection of buildings and facing south is the student accommodation, the famous ziggurats. 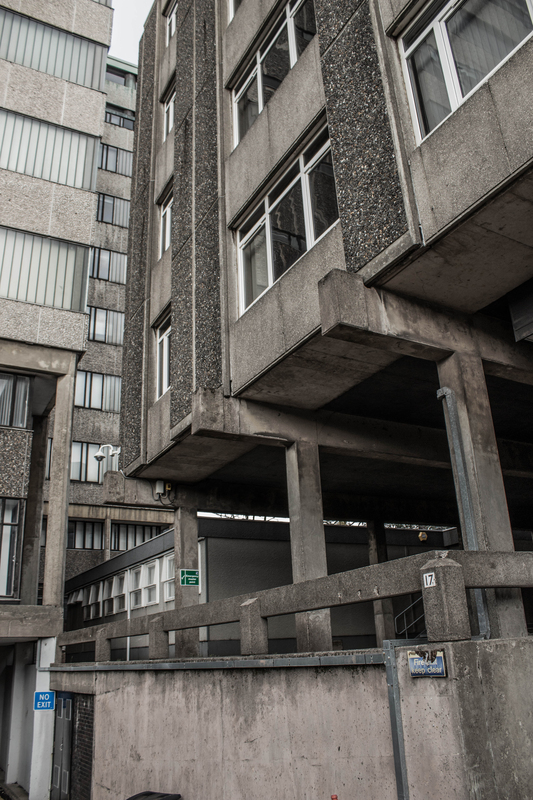 Magnificent low rise stepped pyramids of concrete and glass. The height of the buildings fall, step by step, to the ground and where the buildings end an area of grassland continues the downward slope to a small lake in front of the River Yare. 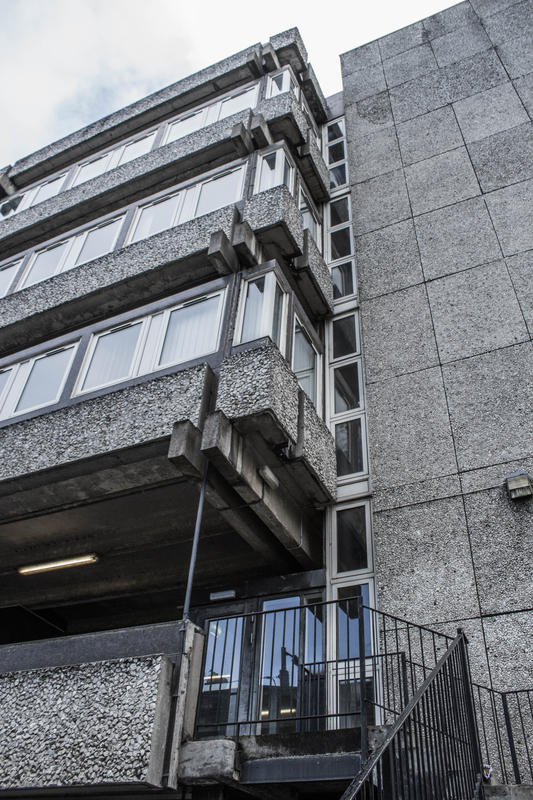 Raised walkways – one of my favourite architectural features – connect the back of the ziggurats with the rest of the complex. 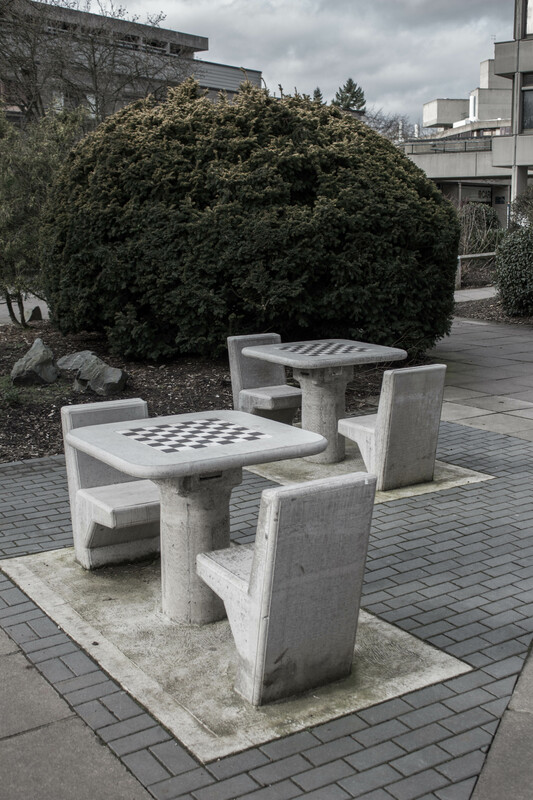 The campus is, in the true sense of the word, awesome. 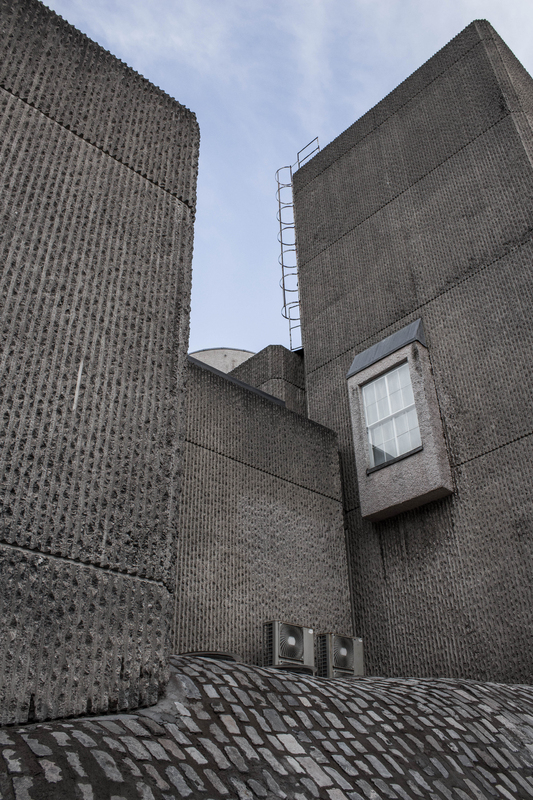 A miniature brutalist city sat next to a beautiful patch of green. 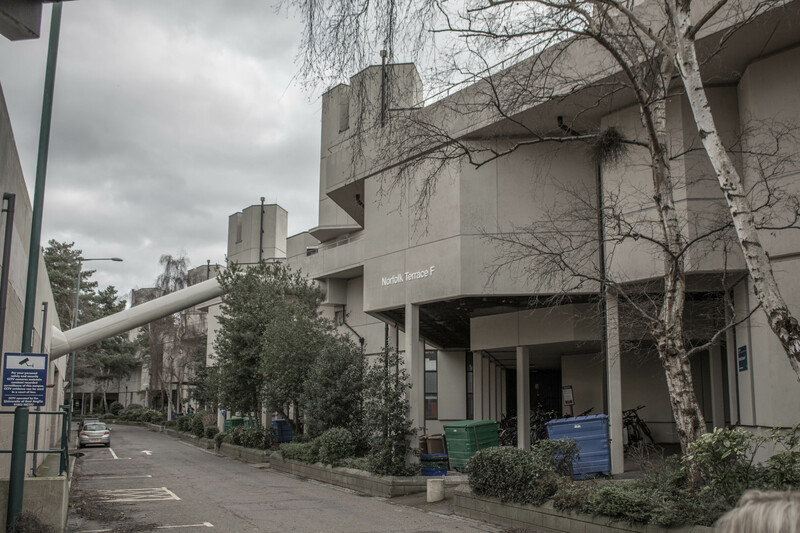 The Sainsbury gallery to the west of the site is a bit intrusive, but the university has got to make the most of its estate I suppose. 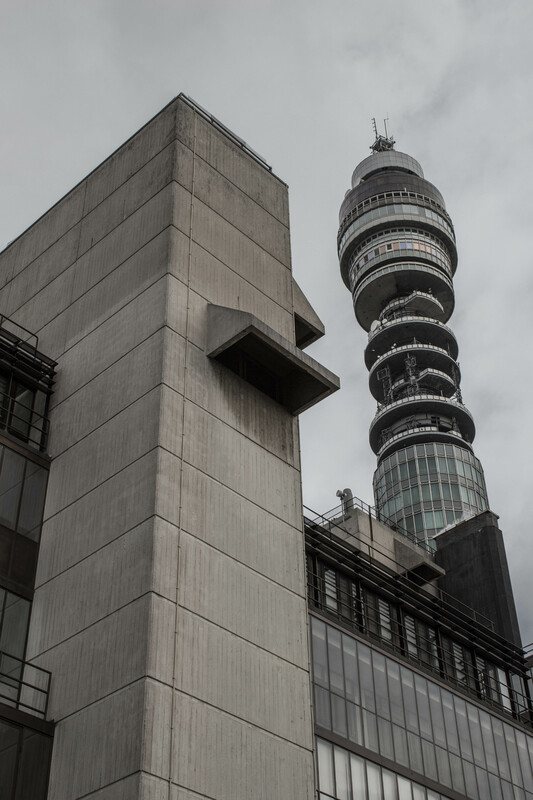 Plus it’s worth a wander round once you’ve finished looking at the architecture. 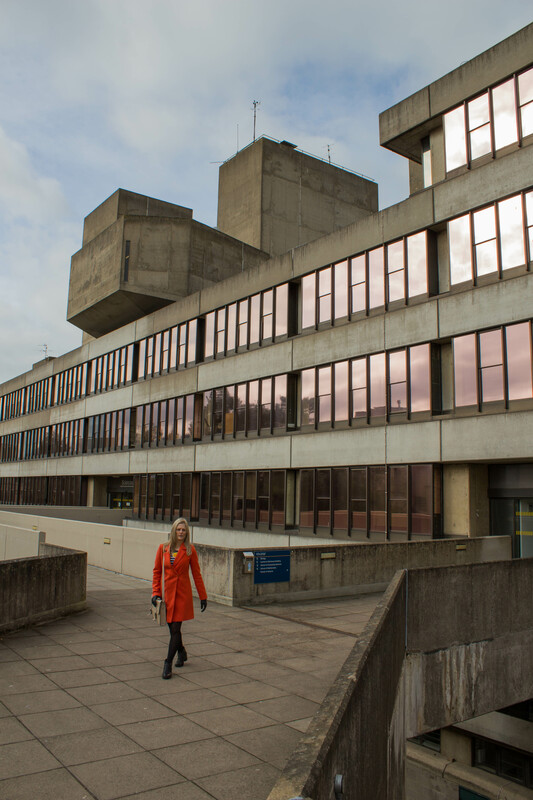 Privacy isn’t something you get much of living in the ziggurats, the park is open to the public and during my visit there were plenty of dog walkers and students – not to mention brutalist photo bloggers – gawping in through the floor to ceiling windows. The price you pay for living in this masterpiece I guess. 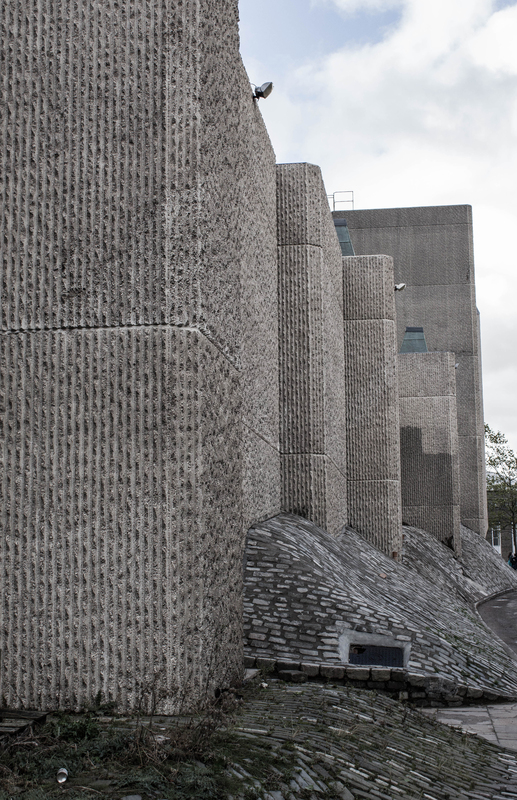 Overall, a must visit for brutalist fans. If you can’t explore in person have a look at it on Google maps with the 3d option. 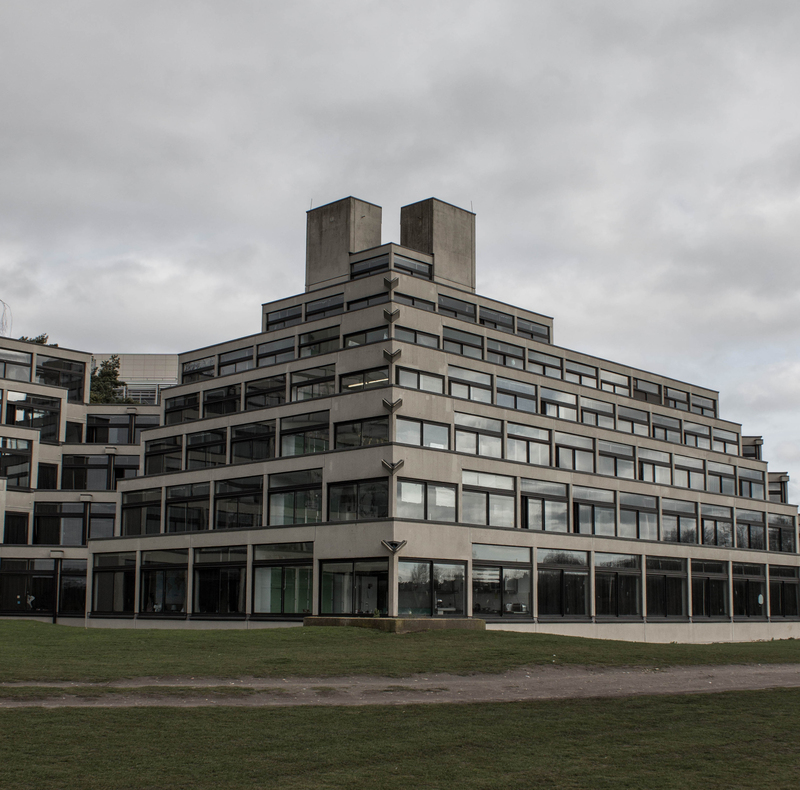 This entry was posted in Norwich and tagged Architecture, brutalism, brutalist, concrete, Denys Lasdun, UEA, University, Ziggurat on March 15, 2017 by Andrew Garford Moore. 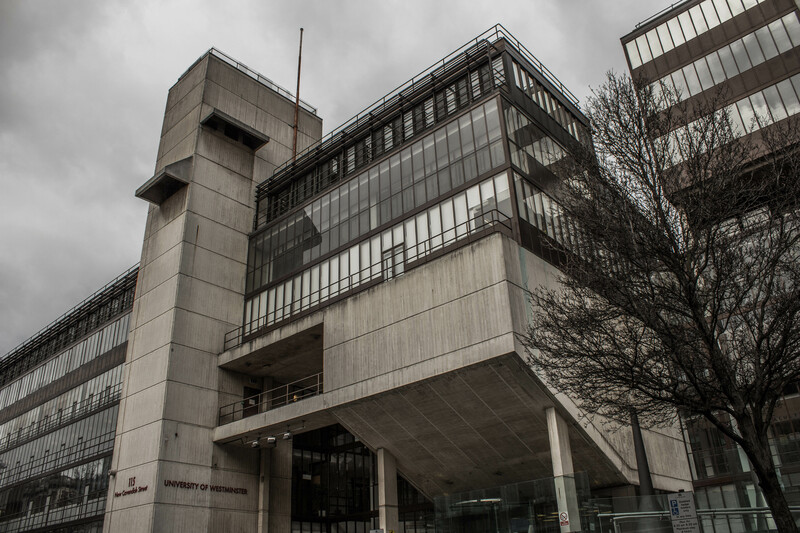 This entry was posted in London and tagged Architecture, brutalism, brutalist, concrete, University on March 19, 2016 by Andrew Garford Moore. 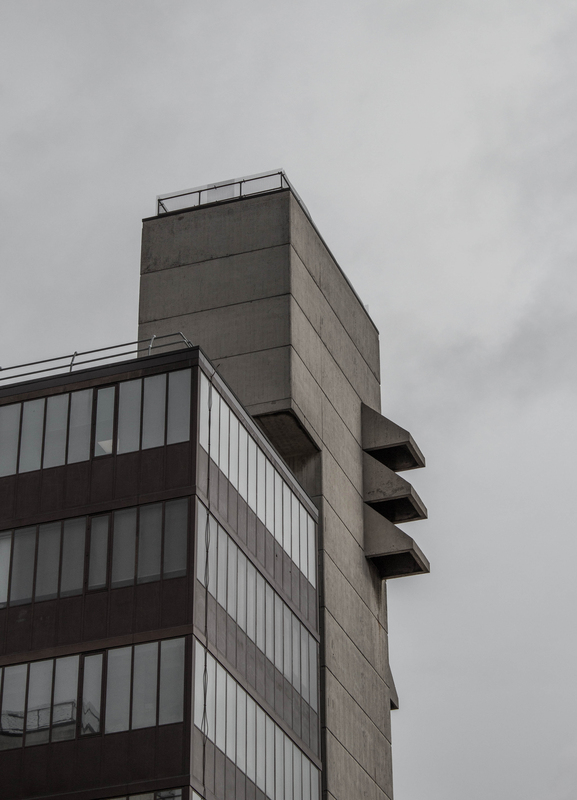 This entry was posted in Glasgow and tagged Architecture, brutalism, brutalist, concrete, Gallery, Glasgow, University on November 5, 2015 by Andrew Garford Moore. 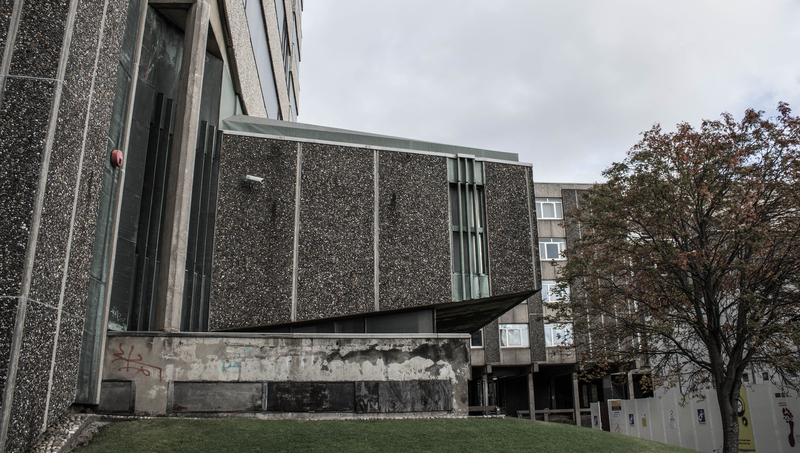 This entry was posted in Glasgow and tagged Architecture, brutalism, brutalist, concrete, Glasgow, University on November 5, 2015 by Andrew Garford Moore. 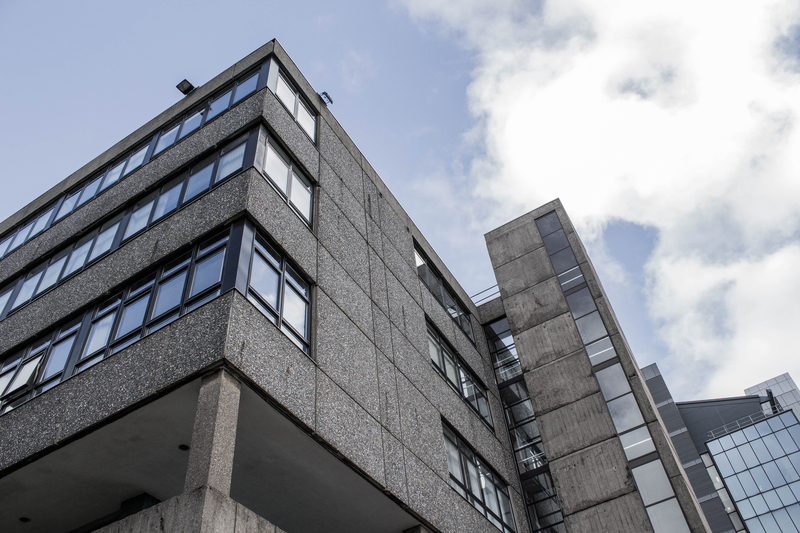 A part of the University of Glasgow, the Boyd Orr Building houses several different functions including a variety of lecture theatres, seminar rooms and offices. 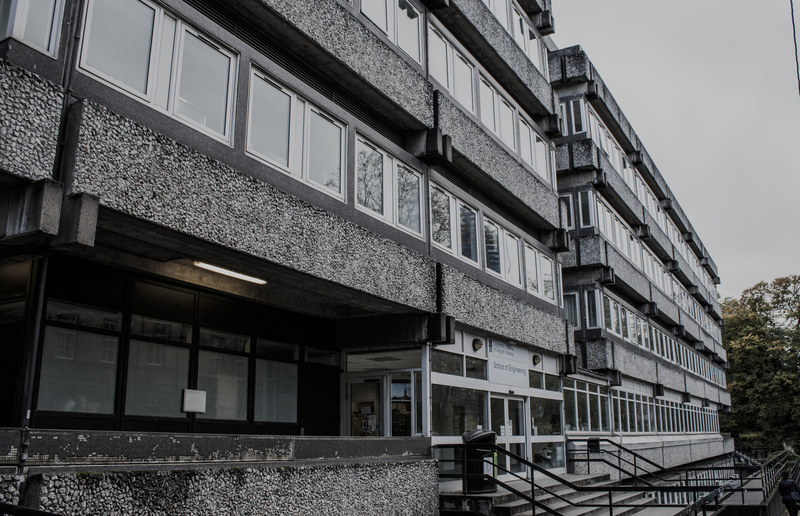 The interior rooms of the building, indeed any of the University’s buildings, can be seen using their handy room photo service. 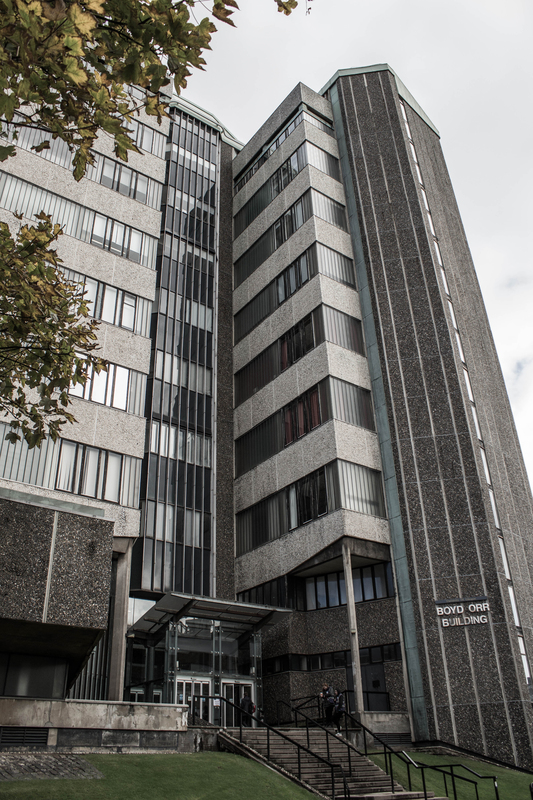 The shape of the lecture theatres on the ground floor is clear when viewing the exterior, while several interconnected blocks rise 7 stories above. 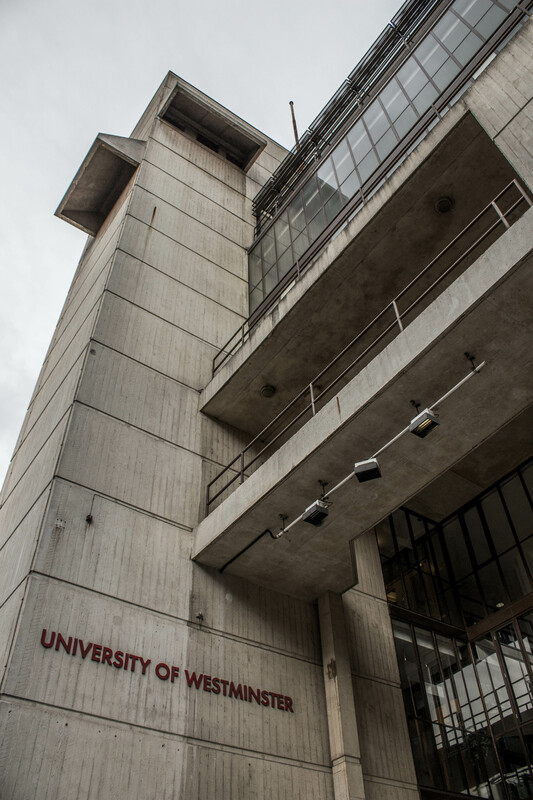 The building is clad in two different colours of rough aggregate concrete panels, giving it an uncompromising look. 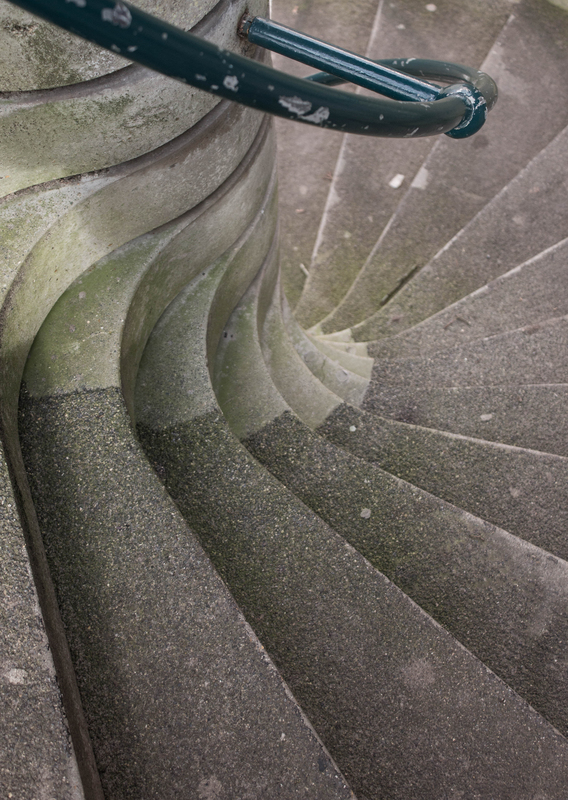 As you climb the staircase to the main entrance, you notice that the corners of the square blocks on the ground floor are absent and replaced by thin piloti. Where the piloti join the blocks on the first floor, the rough cladding is stripped back to reveal a nice bit of functional detailing. 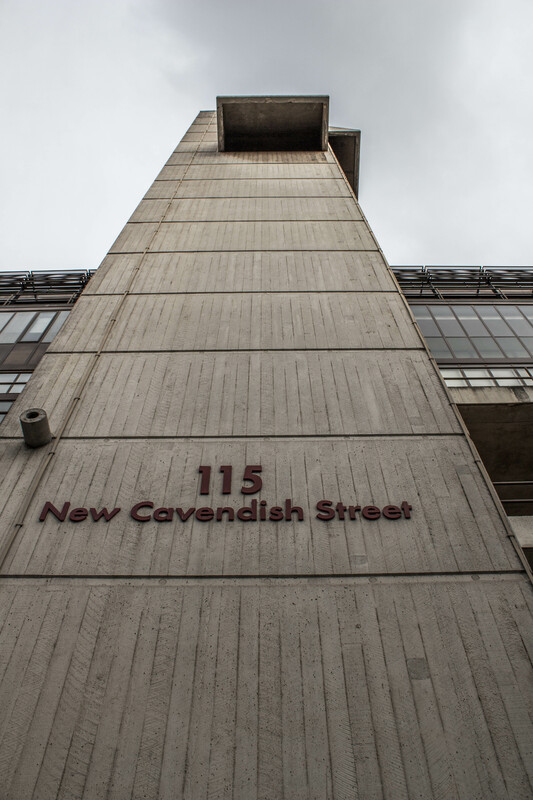 Some of the connected buildings are heavy square blocks, supported on long rows of piers, a modernist take on the classical colonnade. 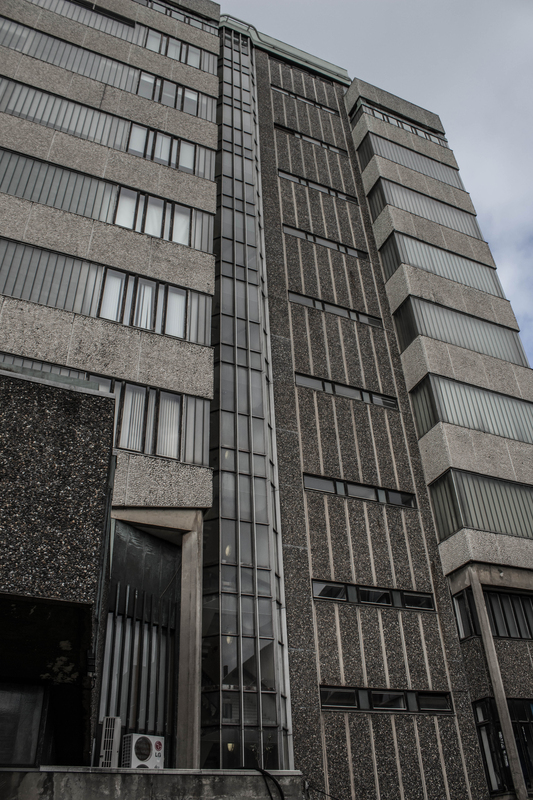 While there are a lot of windows, many are of an unusual translucent glass. 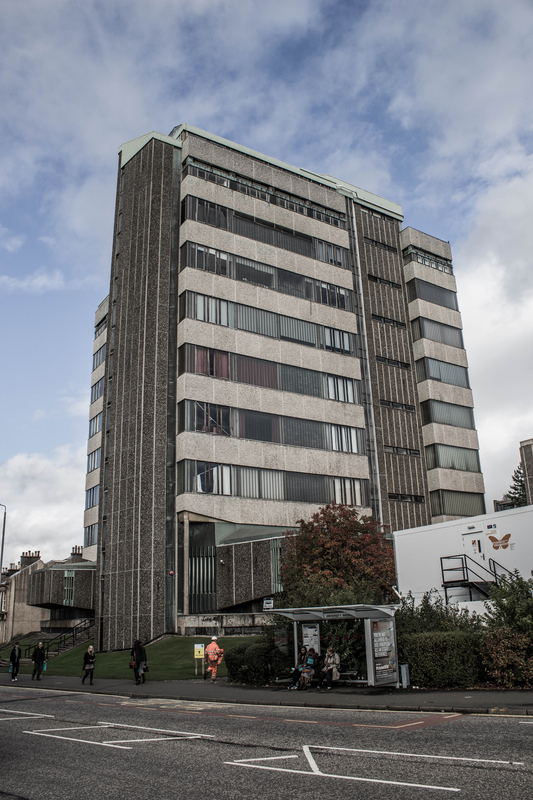 Perhaps there were concerns about students being distracted by the views the building offers over the wonderful city of Glasgow. 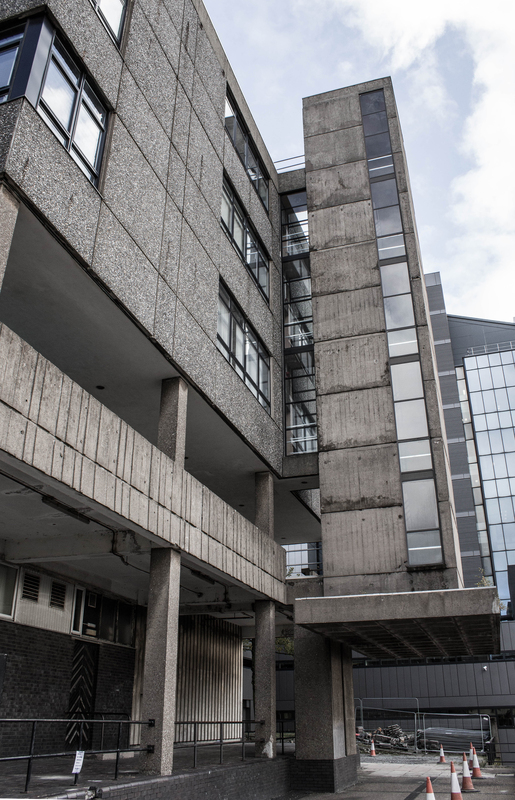 This entry was posted in Glasgow and tagged Architecture, brutalism, brutalist, concrete, Glasgow, University on November 2, 2015 by Andrew Garford Moore. 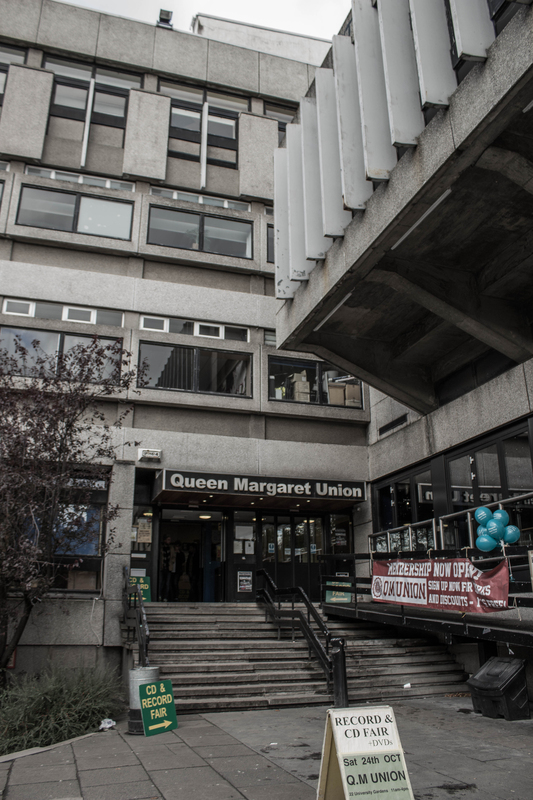 This building is home to one of the University of Glasgow’s two Students’ Unions and contains a music venue, various bars, food outlets and offices. 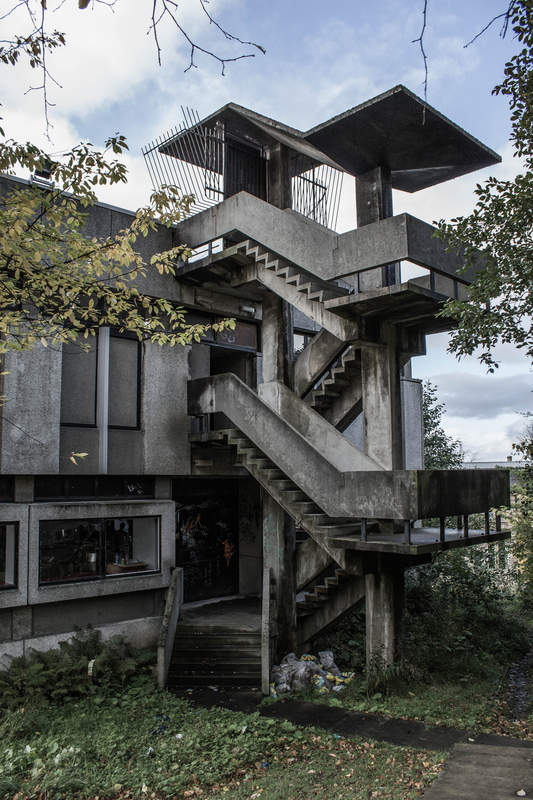 The highlight for me is the fantastic concrete staircase around the rear of the building. 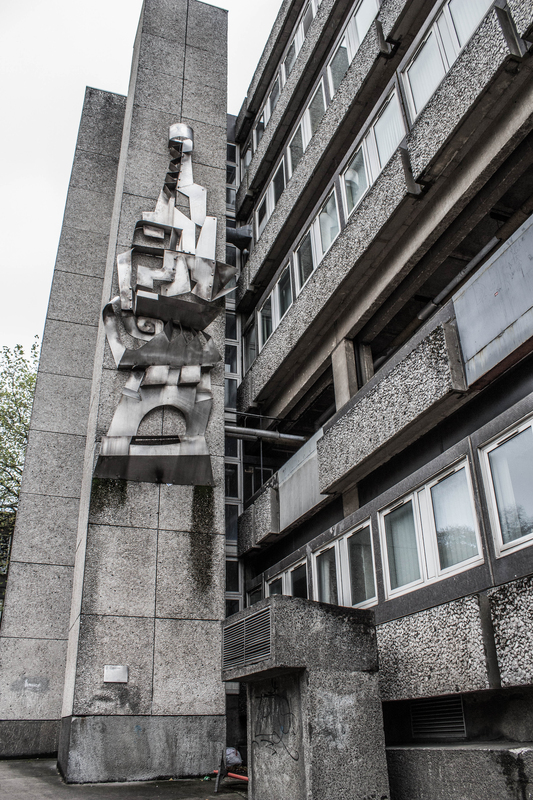 It has certainly seen better days. 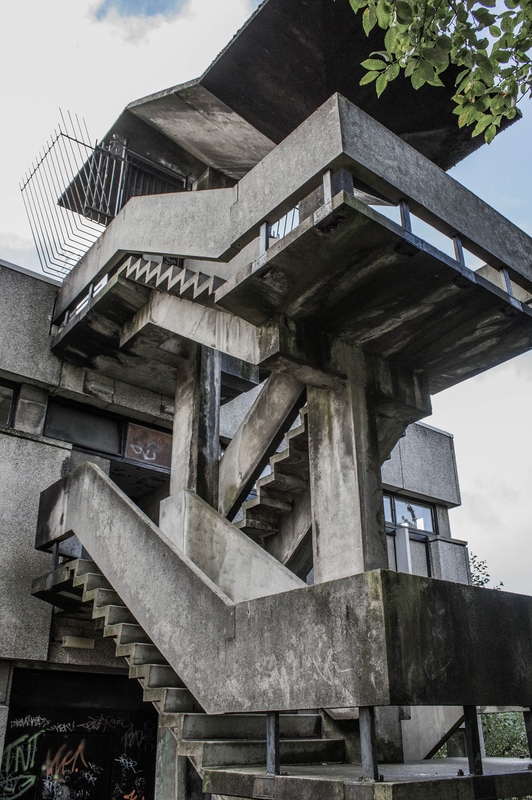 The graffiti and collection of bags of sand at the bottom give it a dismal appearance, while the bars preventing roof access at the top make it look angry and imposing. Yes, sand needs to be stored and dangerous student hijinks need to be prevented, but in my opinion it would be worth cleaning this up and making a bit of a feature of it. 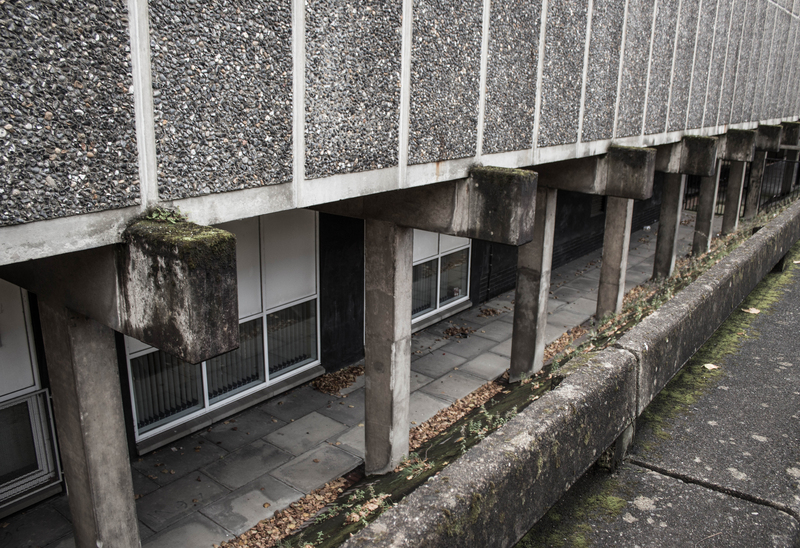 If you are into Scottish Brutalism then have a look at the excellent Scottish Brutalism website. 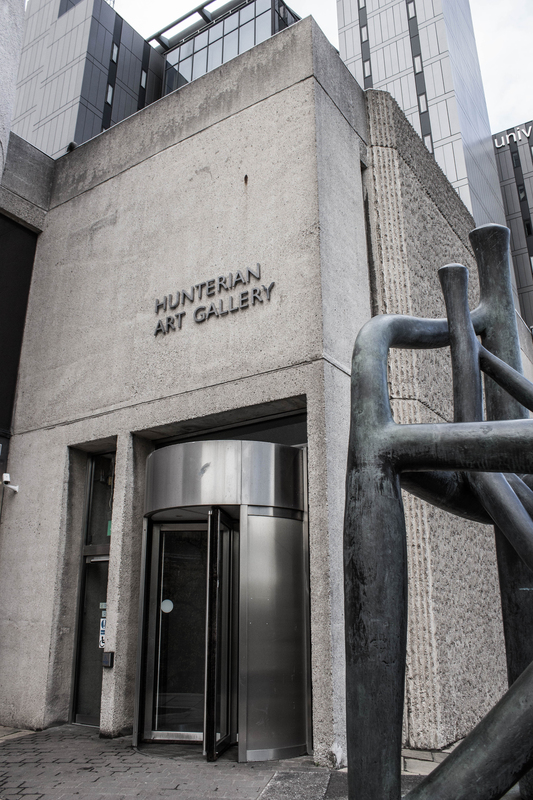 It was a useful resource for planning my Glasgow trip and for some details of the buildings. 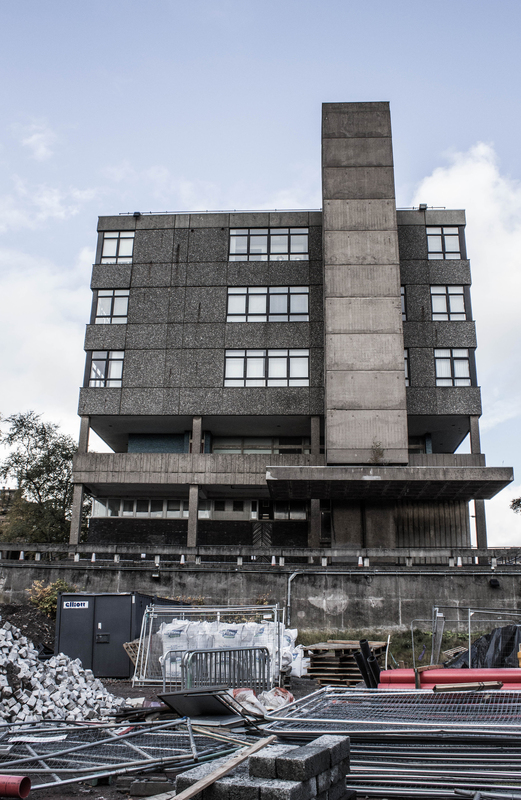 This entry was posted in Glasgow and tagged Architecture, brutalism, brutalist, concrete, Glasgow, University on October 31, 2015 by Andrew Garford Moore.